I realize the galaxy squad aliens are off limits for a character, but can I use their technology for my character? Biotech all the way! Yes the armor is fine, but I'd prefer you not to use the wings. You might try to use a type of brick-built jet-pack though. Taking away drakk's wings? Oh the biomodified humanity! If he wants to use another olive green head, that's fine. But the wings are a bit too much for humans for now. You could also use the bug torso as armor. 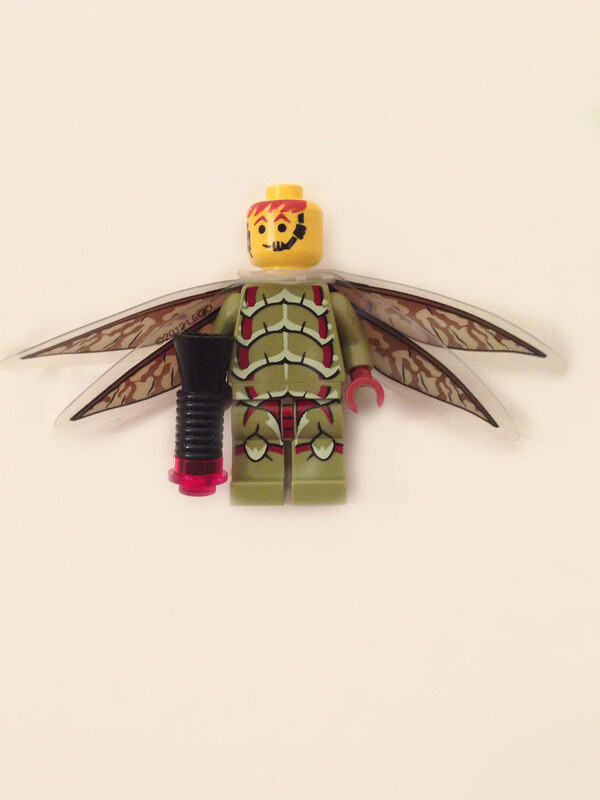 Well they are part of the armor...and the wings aren't even from the galaxy quest aliens sets (star wars Geonosians). Also, i thought aliens were allowed? Aliens are allowed, but humans don't have wings. You may use the wings if you want, I just said I'd prefer you not to use them. I actually think this is an important thing to cover right now, as we begin with SfK. Why should humans not have technological wings on their armor, if spaceships and so on are possible? What is the reasoning behind your preference, Sydiney? My reasoning, and I can only assume Drakks's, would be down to what is technologically possible in a futuristic space opera setting. Don't take this as criticism or mockery of your opinion, please. I just think it's important to settle fundamental world-building questions as much as possible before things get to a point where they can get out of hand as more players show up with their own ideas! I said it was fine, end of discussion. We're spamming the FAQ thread. If you want to discuss this matter more, please don't hesitate to PM me. Will there be something like Brawling Tournament in LoR? Not right now, We may eventually, but for now, no. Is it ok to post free builds? Since the map is not finished yet, and there isn't really any lore, I was wondering if I should post the two builds I have or not? That's fine. If you,could keep the story details a little vague as far as history, that would be great. Thanks, I have one more question, what is the current year in the world of SFK? I'll find that out with the other overseers. I'll get your answer as soon as I can. crazycrownieguy, the SfK Official Galactic Storyline Thread is now up. The date now is the year 2759. CCG We'll get back to you on that, We're still working out the kinks.